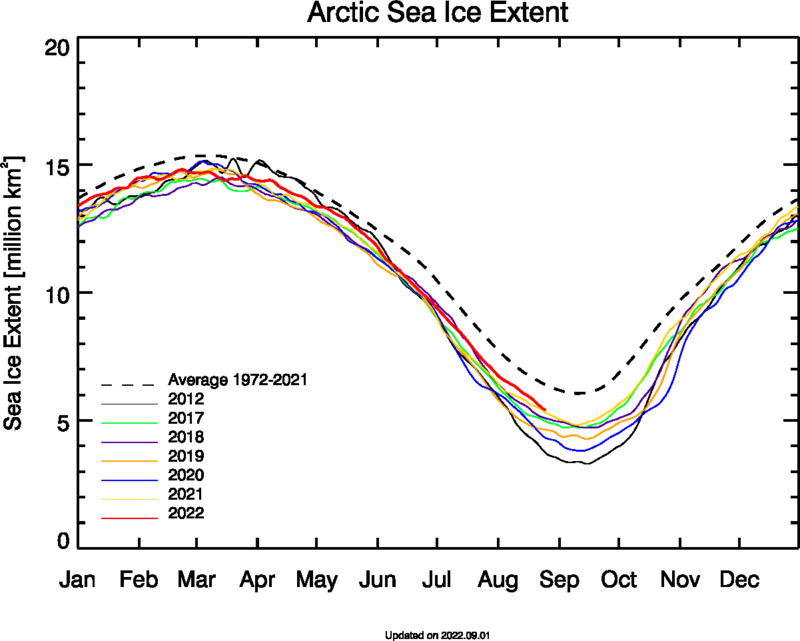 There has been almost no change in Arctic sea ice extent over the past two days. I wish CNN would say that about ice and temperatures. Ha! Why? Less than 900,000 people would see it even if they said it in primetime! Besides they simply don’t have the time to fit it in between Stormy stories. I like how two days means something to these clowns. Maybe showing the decadal loss is just too hard to comprehend. What about Jan 03 – 05? Dec 15 – 17? Why May 07 – 09? Nobody with a science degree cares. 2- Provide even one peer reviewed paper that refutes natural variability as the cause of recent, or any, global climate changes. Clowns make claims, scientists show their work. 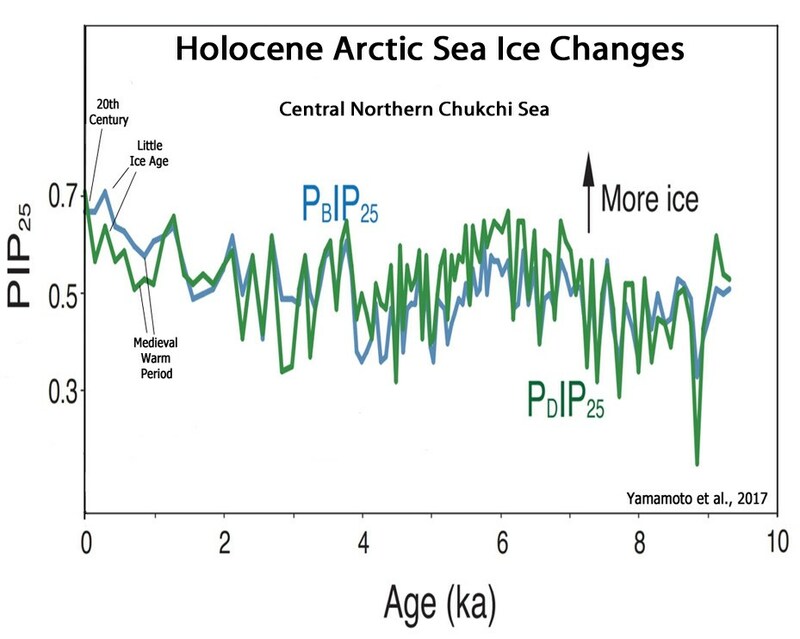 Maybe show that the Arctic sea ice is in the top 10% of Holocene extents. Or were you IGNORANT of that , as well as everything else !! I am , of course making a basic assumption you can read a simple graph.. Sorry if you are incapable. Ms Griff still cherry picking dates in order to justify her genocide. She lied by omitting the longer record. Ms Griff says her peers think that trying to save poor brown people from starving is crazy. You are a MANIC CLIMATE DENIER griff. DENY everything before the EXTREME high extent of the LIA and 1late 19170s. It all you can do. !! Your graphs are a trivial small drop from an EXTREME high extent, only a small way toward the MWP. You are a mindles , WILFULLY IGNORANT, Climate DENIER, griff. 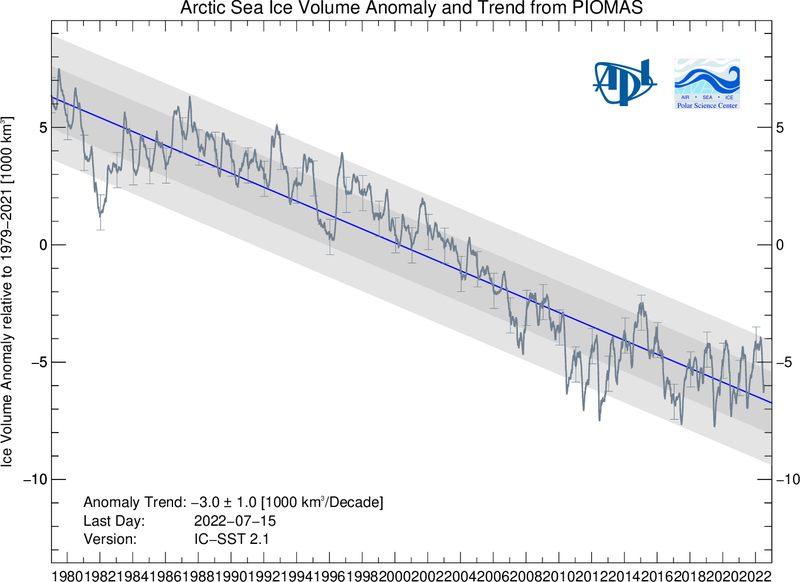 And of course the CYCLIC REALITY of temperatures and sea ice is BEYOND your brain-hosed capability to process. Yes it has trended down for the upward cycle of the AMO.. as expected. STOP your manic climate denial and wilful ignorance , griff , it makes you look like a mindless nil-educated bot that is incapable of excepting anything but your very limited base-level AGW programming. You are just PANICKING because you KNOW the RECOVERY from the LIA and late 1970s extremes has stopped. 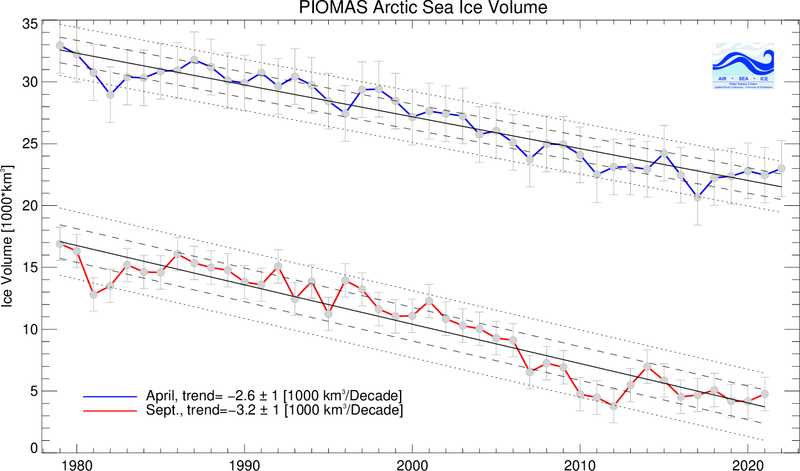 I suspect you also KNOW that the AMO is turning and sea ice will begin to climb again over the next several years. You are just TROLLING for attention, because you have NOTHING ELSE in you putrid little life. 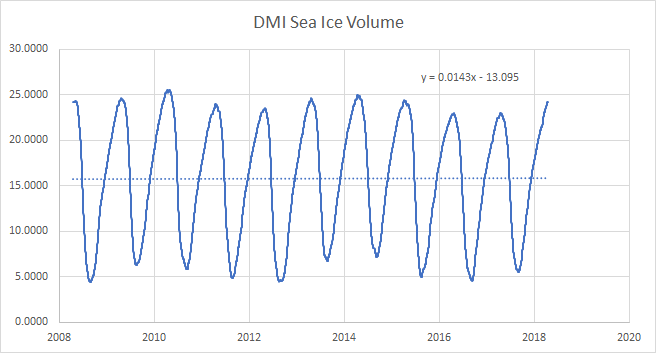 You have to LIE to yourself to make yourself “believe” something else, because seeing that Arctic sea ice start to climb would put in a self-harm state of mind. Really, there is no recovery. And I’m still waiting for a coherent statement from you on the current trend and influences. The recovery from the extremes of the 1970s has stalled. What don’t you comprehend ???? Gees its like trying to explain to a 5 year old. !! Cherry picking. Not sure what your point is. Can you even read the graphs you’re posting? I told you that you couldn’t read or comprehend basic graphs. Nothing unexpected , is it. Two sides of the Arctic, where the main expansion and contraction take place. Both show that the LIA was a massive high, and that for most of the period before that, sea ice was MUCH LOWER in extent than now. Icelandic sea ice records also show the 1970s being very high and a big gap from 1920-1960, just as most historic data shows. Do at least TRY to let some actual facts into you brain-hosed mush !! 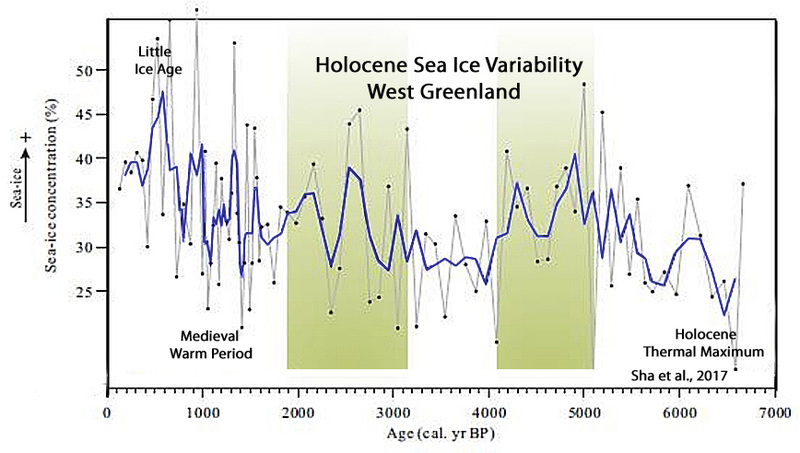 Every bit of long term data shows that we are very much at the COOL end of the current interglacial. Now, have you or griff found that empirical evidence for CO2 warming? Or are you just going to keep running away from the issue. And you know, you would think with all that Mann-Made CO2 choking the atmosphere, it would be super-heating the Arctic air by now…melting the Arctic ice like a blow torch. Anybody miss Reggie? Me neither. This looks like a fun trip. I won’t be going though. Too busy. I know of several duped people who think that a scientist said that Arctic air would be super heated by now. Why do you think they are so duped? 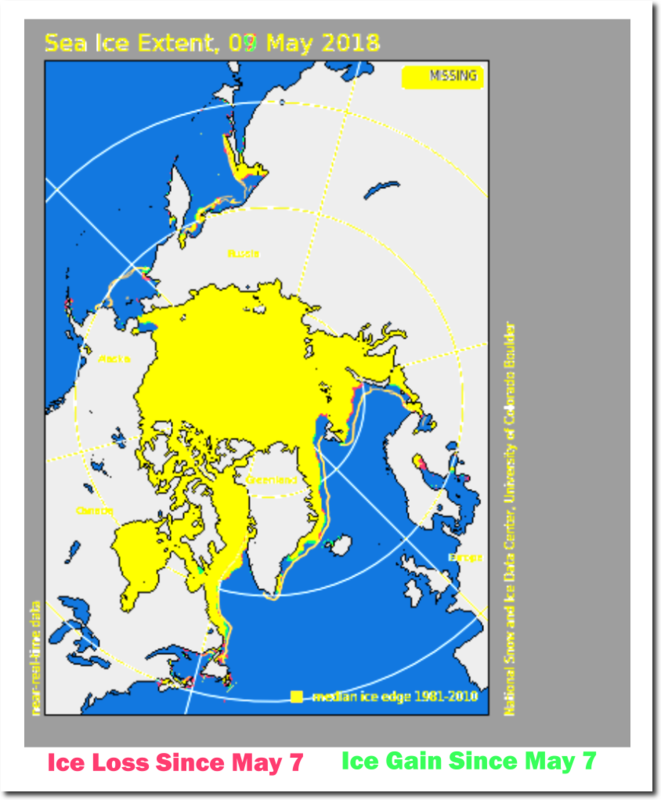 Especially when its been shown that if anything the GHE over the Arctic and Antarctic is towards COOLING. Remain ignorant, koon. its all you have to maintain for brain-hosing !! 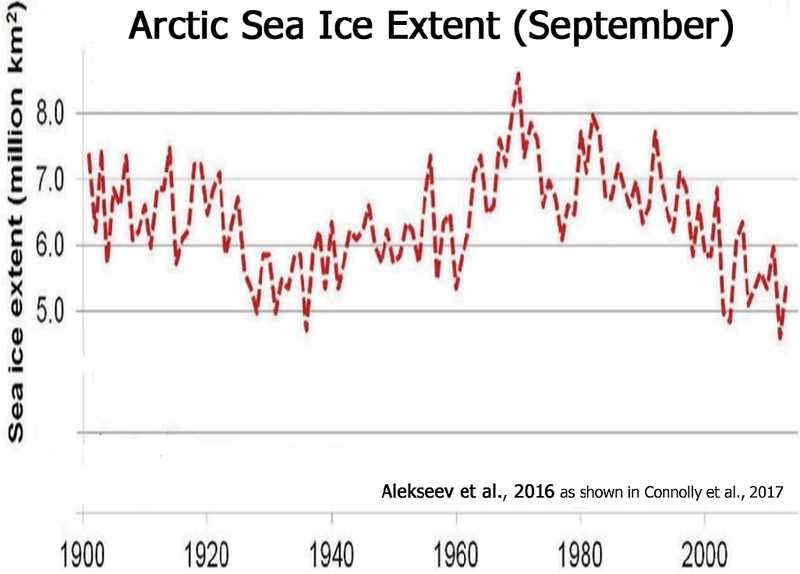 A scientist predicted zero sea ice aby a few years ago. People like you are easily duped. !! …. the word is GULLIBLE to brain-hosing.!! And they used a fire hose on you ! !